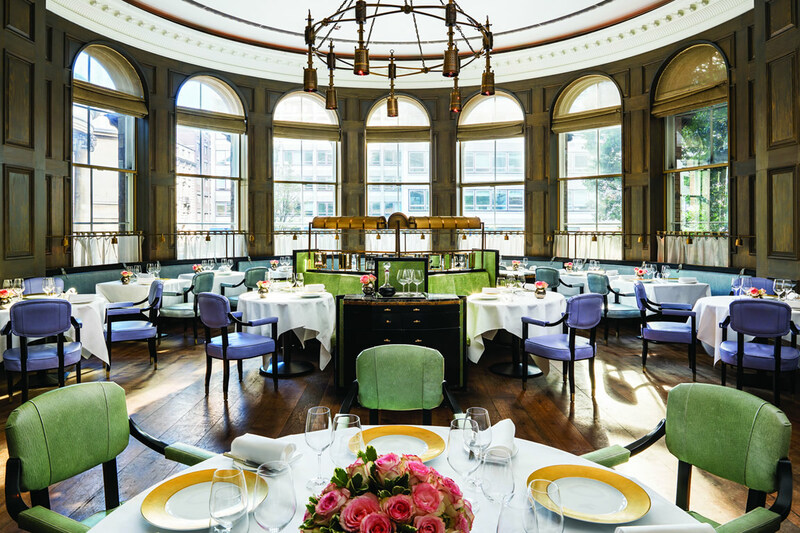 The Langham Hotel is the epitome of elegance and poise, so where better to take the embodiment of class and taste that is Mr Steven Moore – why Roux at The Landau of course! 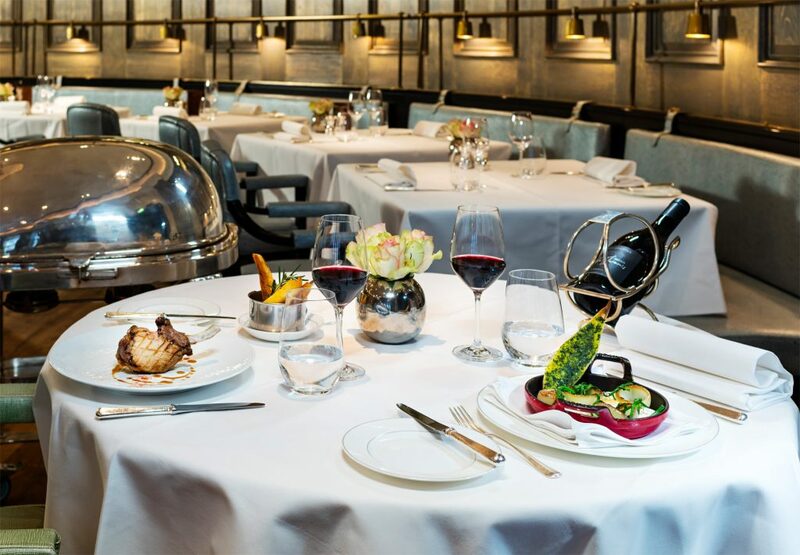 The restaurant, situated just past the wonderful Artesian Bar, is the work of father and son Albert and Michel Roux Jr on their first project together in almost 20 years. 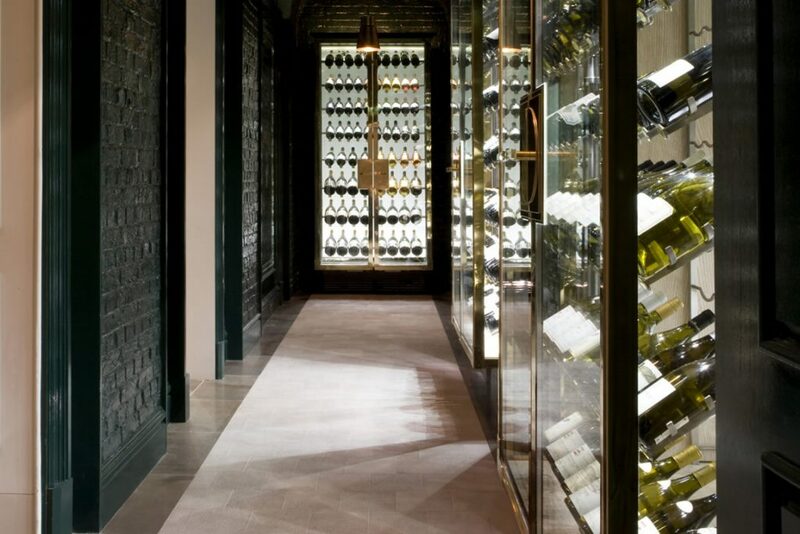 Headed up by culinary new talent, Chris King, this restaurant oozes classic English sophistication partnered with faultless French cuisine. The perfect venue for a pair of debonair English sophisticates like Steven and I who are also partial to all things français. Upon entering the restaurant, we are greeted by the ever so professional Restaurant Manager, Franco Becci, who shows us to our semi secluded private table at the back of the beautifully decorated dining room. Hues of violet and gold give the room a royal elegance and our table is in the perfect position for a spot of people watching. The diners here are an eclectic mix of older couples, business attire moguls and young fashionistas who have drifted in from the cocktail bar next door, so Steven and I feel completely at home. While we peruse the menu Franco asks us if we would like an aperitif, and there is only one answer to this: Pink & Gold. Steven and I opted for Al La Carte but there are several tasting menus which change with the season. For starters, I, being the devourer of Bambi that I am, opt for the venison and foie gras Chausson with pickled red cabbage and juniper berry sauce. Steven felt that quail was the way forward so ordered the roast quail with confit chestnuts and verjus poached sour cherries. Both dishes were presented beautifully, the rich colours of the sauce and dark tones of the meat leaping out from white bone china. 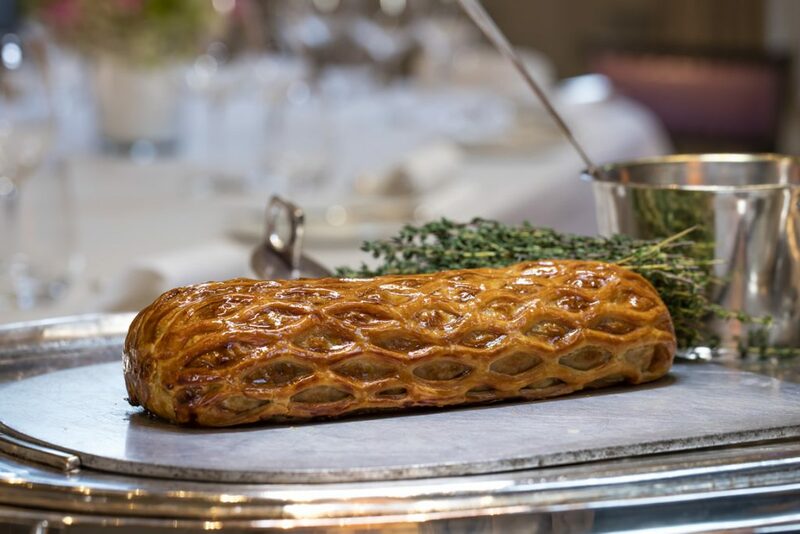 My venison Chausson was succulent, tender pieces encased in a light puff pastry case, moistened by the rich juniper berry sauce. Steven’s quail was perfectly pink and the meat slid of the tiny bones, the earthy chestnuts complimented the delicate meat with impeccable flair. My venison Chausson was so good that, with Steven feeling somewhat put out by not ordering that dish, we had second helpings. Franco identified our need and it was sated as a second round of puff parcels were delivered to the table. Steven and I are not great white wine admirers so Zack Saghir, Head Sommelier, had his work cut out to find a wine that would go with our starters and main course choices. As we continued on our path of carnivorous consumption with mains of Butter roast fillet steak for me and Roast Ibérico pork chop for Steven, it was only right to pair a robust red with our meal. Zack skilfully selected the Rioja Reserva Lorinon, Bodegas Breton 2004, a rich Spanish wine which, as one would expect, complemented the dishes perfectly and which was left to breathe before we started our Landau voyage. As mains arrived, the smell of the homemade chorizo accompanying Steven’s pork chop wafted about the table, my steak glistered in the low lighting of the dining room, glazed in butter and cooked beautifully with bone marrow baked potatoes on the side. Both dishes were sublime; Steven and I were quiet, something quite rare for us, as we savoured every mouthful. 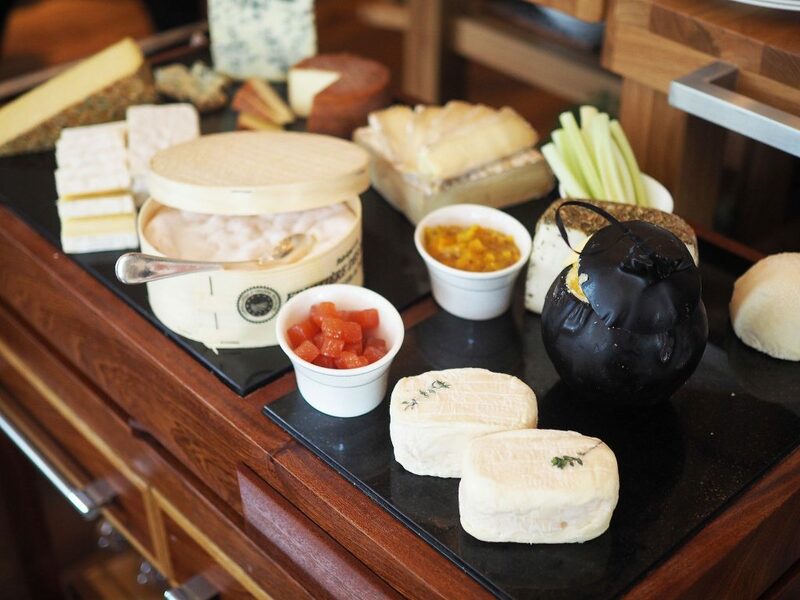 Now somewhat surfeited by two starters a piece and mains; dessert seemed somehow a step too far, but how can one turn down the epicurean delights of the cheese trolley? With wine left over, it seemed a damn shame not to give the cheese a go, especially as this trolley had both English AND French cheese on offer. Each of us had a selection of five cheeses, graded from soft and creamy to hard and potent. I had the Mont D’or, Olivet, Cantal, Langres (usually my favourite) and the Petit Fiance, which is my new favourite, creamy but powerful, nutty on the nose and mouth. Steven had the Brillat Savarin, Crotier Blue, Forgerus, Rede Leicester and the Mon’t D’or, the last being Steven’s personal favourite of the night. All cheesed out and wine finished it was almost time to call it a night, but not before a few award winning cocktails from the Artesian. Being a champagne lover, I go for the Langham Cobbler which comes with a champagne chaser (as all cocktails should) and Steven opts for the BBC Cocktail, very apt one might say. Sipping our cocktails, Steven and I watch the last diners slowly meander out of the restaurant, the hum of the service now long gone. Feeling thoroughly satisfied and in a glow from a paradisiacal meal, we too make our way out, saying our goodbyes to the wonderful Franco and Zack, vowing that we will be back. 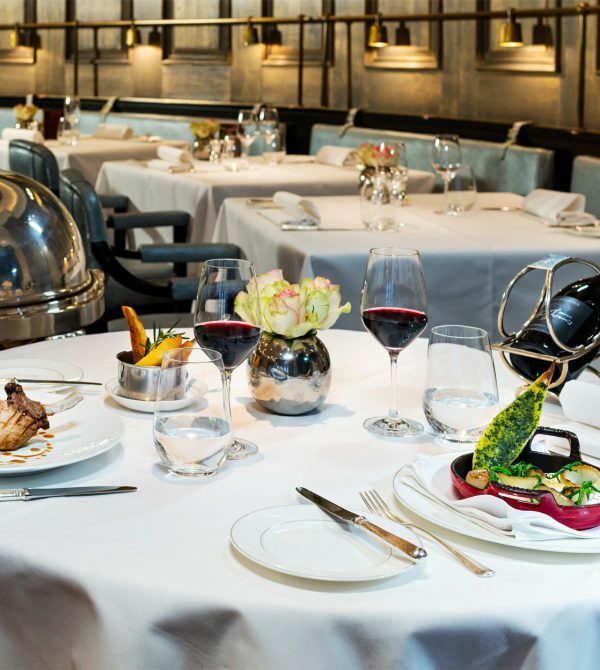 Roux at The Landau is the perfect fusion of English elegance and French finesse, both in the look of the restaurant, the food lovingly created and served by Chris King and in the service provided by consummate perfectionists like Franco and Zack: vraiment merveilleuse!